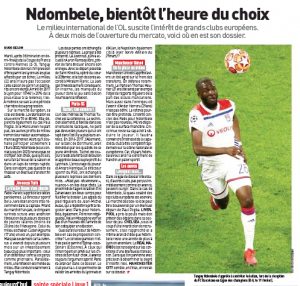 L’Equipe have a big feature on Tanguy Ndombele in their Saturday edition. With the Lyon midfielder widely expected to leave his club this summer, there have been countless rumours about his possible destination, and the French newspaper wanted to freshen things up a bit. They’ve linked Manchester United, Liverpool and Chelsea, but believe Manchester City interest has diminished, with Pep Guardiola presumably looking at other targets for the summer window. When it comes to Chelsea, the club’s transfer registration ban is of course mentioned. Chelsea remain interested in the Lyon player, but know there’s a good chance they won’t be able to sign anyone in the next two markets. The Blues have ‘moved closer’ to the situation, and it’s claimed they’ve ‘advanced the idea’ that Ndombele stays with his Ligue 1 club for another season, then being able to move to Chelsea next summer when the ban would be over. 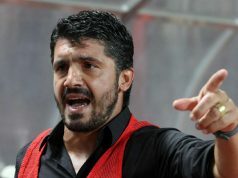 It’s not out of the question, depending on what other offers arrive this summer, and it’s likely going to be a tactic Chelsea use elsewhere too.